It was only a couple months ago when we all remember saving our money for the holidays, putting up Christmas trees, and baking mom’s favorite holiday cookies. Unfortunately, this was also the same time we all remember some Connecticut families forced to break from tradition. 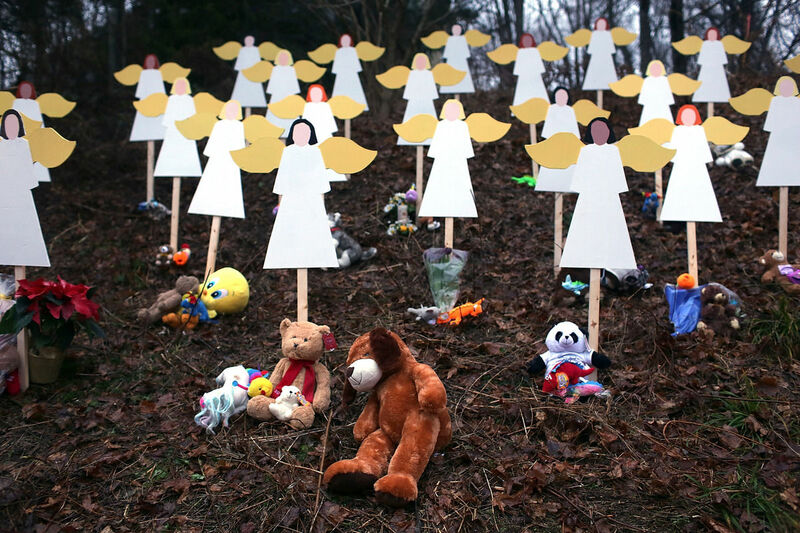 The Sandy Hook Elementary shooting was one to take a beating on our nation as a whole. This horrific event struck the hearts of not only those families involved, but parents across the world that now fear the safety of their own children. 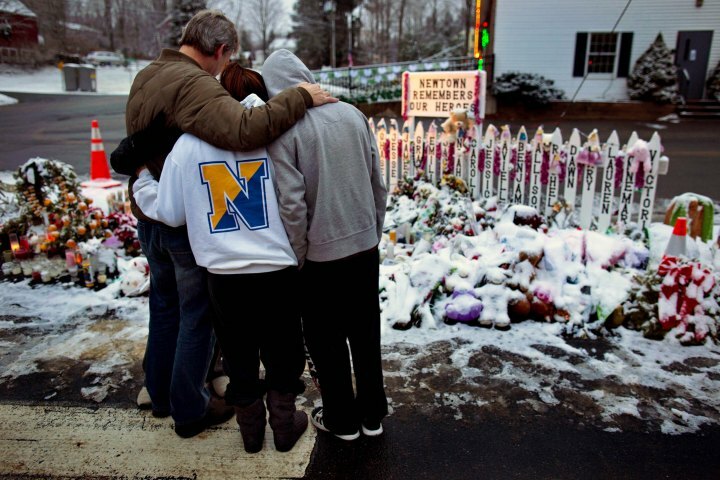 The New York Times and their article “Updates on Connecticut Shooting Aftermath” did an excellent job keeping their viewers updated as December 14th became a day we will never forget. With text, photos, videos, and Twitter links this multimedia story was ready to inform the public. The story does more than just inform the public of what happened on that tragic day, but also gives meaning to the lives of those killed in the mass shooting. It was almost like a virtual tribute to everyone affected. It displayed pictures of those killed, slideshows of the heroes, and press coverage of parents who mourned the life of their children. The story served as an outlet for those involved in the massacre and complete coverage for the rest of us across the United States. I personally found this presentation to be extremely effective. Not only did it include multiple aspects of media coverage, but it also was very informative with captions, text, Twitter posts, and YouTube clips. 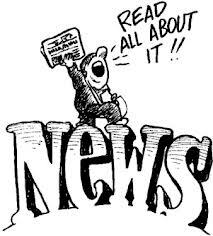 Even better, the story included several links to other news pages that had more detailed coverage on a specific topic. This is a very effective tool because it allows readers to explore the entirety of the online news world. It was structured and exceptionally easy to follow as it was structured from story to story, life to life. With its multiple media outlets it was also very engaging. Long text was broken up by videos such as President Obama’s weekly address and images were inserted where needed as an explanation. These links, videos, pictures, posts, and personal stories all helped to strengthen the package of an already engaging story. However, I do think that the author made it quite extensive. While it is nice to have a lot of media included, it can also be very overwhelming. While it did leave me very satisfied and emotionally connected to the story and the people, it also made me wonder how they could have outlined this differently. The only suggestion I have is that the author break up the story into separate website pages. This would eliminate the long scroll bar and avoid distractions from the story as a whole. It would also be organizationally effective if the author of the page make tabs to structure the story. 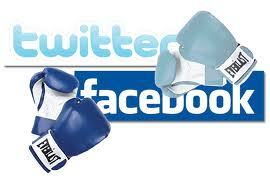 spread ideas, trends and news. In fact, as a student with no cable at my apartment, Facebook is my first source I get my news from. With just about 2,000 friends on Facebook, whether I know them all or not, my news feed is full of opinions on new news topics from politics to sports games, and even world crises and weather updates. Not to say that it is always one hundred percent accurate right away, but when you see multiple friends post about the same thing it is easy to see how many sides of a story news can present. This makes it easy for me to trust my news when I know a majority of people are posting the same story. One of the things I find even more beneficial about this news source is that people can comment on these statuses and share their opinions, beliefs, or even add more to the story after the original post. However, with multiple opinions and comment sections, comes bias. This is neither a professional nor monitored form of news outlet and therefore everyone has a right to voice their opinion on the matter at hand. While I may find social networking to be an effective way to communicate news to society, I don’t know how much I trust entertainment sources to be very informative. While movies, magazines, and music for example may reflect upcoming events in society, they are also very opinionated based on the artists and producers. They more or less take a spin on actual news coverage and create a story. Entertainment sources aren’t rapid and I don’t personally feel they are a good source for news coverage; at least they wouldn’t be my first outlet. News is an everyday part of our life whether we realize it or not. It’s a topic of conversation, it’s an explanation for current events, and it’s a story of our lives. I may not realize it but I talk about news a lot! My best friend and I often find ourselves in heated debates over politics, my parents and I sulk over major crises, and my teachers start discussions on current events. But this keeps us up to date. This keeps us informed, and this keeps us aware. If it weren’t for these discussions with my parents and my peers it would be hard for me to keep updated on everyday news. In fact, it would be even worse if we agreed on all of it. Differences in political parties and oppositions to controversial issues often give us more knowledge and awareness on our news. Although it may seem like I am always on the ball when it comes to receiving my news, I too am guilty of not always being aware. I think it is important to get your news from SEVERAL different sources. Who is to say one source is always correct? Or always the fastest? Or even always has the news? It’s important I learn to add variety to my news sources. Like maybe including local newspapers like the Laramie Boomerang or the local radio station. Maybe listening to NPR on the radio so I have a different audience to relate to. I also need more national coverage and one source on the up and coming is YouTube News. It’s almost like free cable… with an internet bill!